The global offshore wind energy market technology is prognosticated to shoot up, driven by the increasing focus on environment-friendly energy generation coupled with innumerable offshore wind energy power projects. Every wind turbine works in nearly the same manner. When the wind blows, the airfoil-shaped turbine blades start spinning. These blades are attached to a drive shaft which turns on an electric generator in order to produce electricity. With considerable advancement of technology, mechanical and engineering innovations are being used to maximize the efficiency and productivity of electricity generation. The continual presence of powerful winds across the oceans is harnessed by an increasing number of developing and developed countries. The U.S. is slated to surface as one of the key contributors in the global market for offshore wind energy over the oncoming period. Almost 50% of the American population is housed in the coastal areas, including counties that are directly on the shoreline and those which drain to coastal watersheds. Some of the key advantages of offshore wind energy are that offshore winds not only blow harder but are also more uniform when compared to those that blow on land. Consequently, higher wind speeds of even a few miles per hour have the potential of producing substantially greater amount of electricity. For example, a wind turbine at a certain site with a wind speed of approximately 16 mph can produce almost 50% more electricity when compared with another site with similar turbine with 14 mph. This has been one of the primary reasons for developers being interested in tapping the potential of offshore wind energy. Offshore wind energy refers to the use of wind farms constructed offshore to conserve wind energy and generate electricity. It utilizes the considerably higher wind speeds available offshore as compared to land. Since offshore wind energy provides several benefits over onshore wind energy, such as eco-friendliness and reduced dependency on dwindling availability of land, several developers are exploring the feasibility of harnessing the resource in an offshore environment. Wind energy is considered as the most mature renewable energy technology, which has come a long way since first offshore wind farm was made in Denmark nearly two decades ago. With vast untapped offshore wind potential available in most nations, coupled with new policy frameworks, the global offshore wind energy market is projected for a robust growth rate during the forecast period of 2017 to 2025. 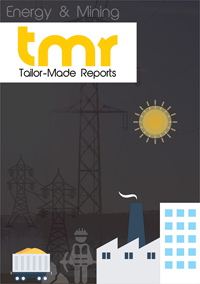 This report on global offshore wind energy market is a comprehensive analysis of the current scenario, and presents a figurative estimation of the future based on several factors that are expected to influence the growth rate. The report also profiles some of the key companies currently operational in the offshore wind energy market, including their market share and latest developments. The industry can be segmented on the basis of distance from shore, which will have implications on the size of the wind farm being installed. The wind power installations can be segmented on the basis of foundation used which is ultimately dependent on the distance of the farm from shore. The different type of foundations can be segmented as mono pile, multi pile, tripod, jackets, gravity base concrete and high-rise pillar cap foundation. On the end user basis, owing to the large scale of the installation, the segmentation will be done as commercial and industrial. Despite the undeniable benefits such as larger turbine sizes and lower wind interference, which results in higher capacity and consequently lower per unit costs, offshore wind energy market faces hurdles such as expensive grid connections and costly maintenance and replacement components. However, with unending need for energy and growing awareness for renewable resources among the consumers, several major turbine manufacturers are actively investing in offshore turbine development. The report not only expects this factor to increase offshore wind energy market revenues but also in the control systems and wire and foundation. Ongoing research and development of this technology is expected to lead to better prototypes of offshore wind turbines, which will increase the capacity and thereby decrease the cost curves. Several governments across the globe are also favoring the installments of offshore wind energy. Currently, North America is the most lucrative region, owing to aggressive pursue by several companies based in the country of the U.S. who are involved in extensive research and project planning. European market is led by the U.K., Germany, Sweden, and Denmark, while China is marked as a wild card. Emerging economy of China has aggressively added to its capacity and the country may well emerge as the market leader towards the end of the forecast period. Siemens AG, Vestas Wind Systems A/S, Senvion SE, Sinovel Wind Group Company, and Alstom are some of the key players in the offshore wind energy market.